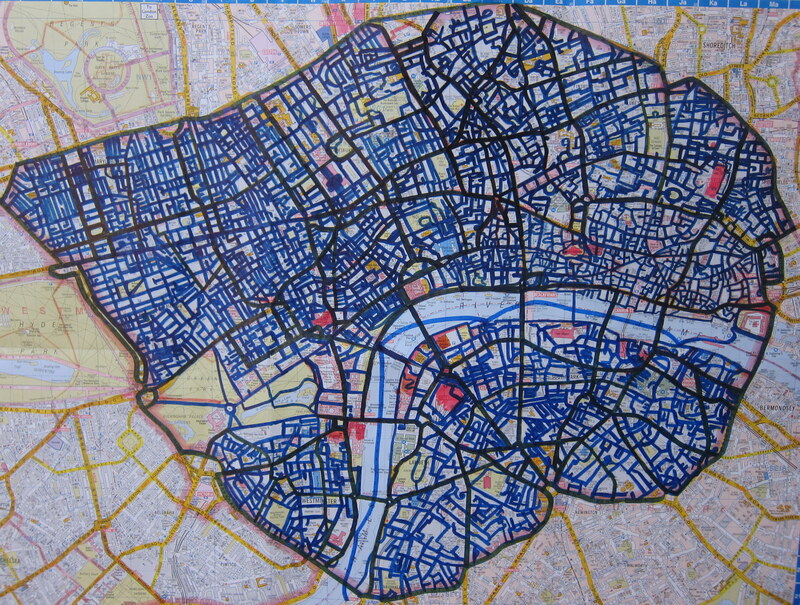 You can find the map for today’s 7.07 mile walk here and the 3.84 mile Thames journey here. I’m not going to pretend to be cool here, I was absolutely jubilant on this walk. Everything I saw was beautiful. Every new discovery was magic. And everyone was my new best friend. It was heaven. I wish I could have that last-day-of-a-big-project feeling every day. I can’t imagine a better place or a better day to end this challenge. I had a perfect mix of experiences: the Thames, quiet corners, bustling high streets, London icons and hidden secrets. My favourite place of the day was so charming that London Live used it as the backdrop for the interview they did with me a few days later (I was on TV!). I also found a Michelin star restaurant in an old toilet and a surgical theatre in the roof of an old church.